Bottled water coolers are convenient, economical and environmentally friendly ways to bring water into homes and businesses. 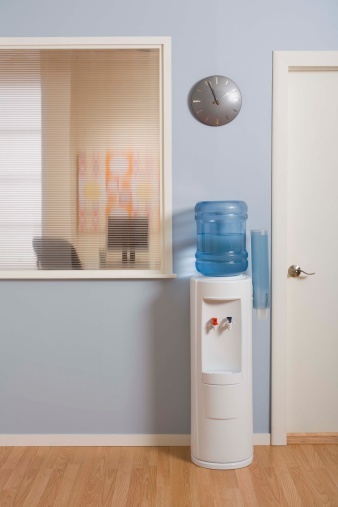 Over time, a water cooler bottle will become contaminated with germs and mold, forming a brown film on the bottom of the bottle. Instead of replacing the bottle with a new one, simply clean out the existing bottle with cleaning solutions. It is essential to clean out a water cooler bottle regularly, to prevent users from consuming contaminated water and becoming ill. Begin cleaning the bottle once you have drained the water out and removed the bottle from the cooler. 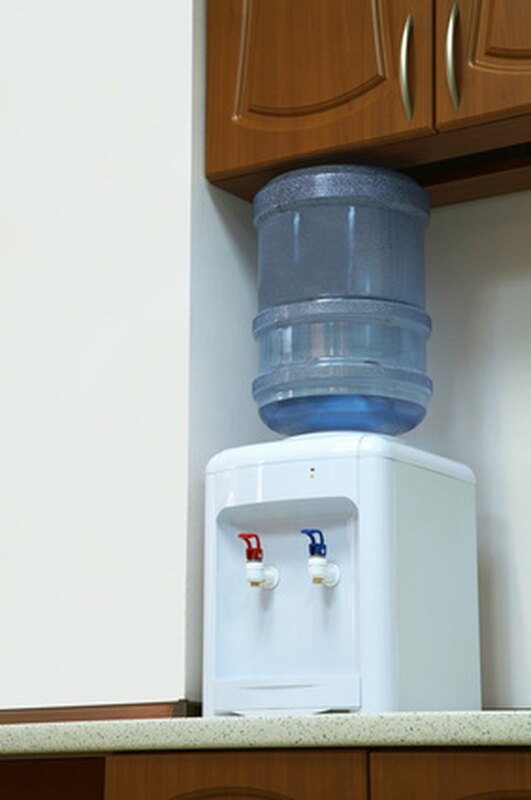 Water cooler bottles should be cleaned before refilling. Pour cold water into the bottle until the bottle is 1/4 full. Add 2 tbsp. liquid dish soap to the water along with 2 tbsp. bleach. Shake the bottle to swish around the solutions. Pour some crushed ice or rice into the bottle. Continue shaking the bottle to create friction. The crushed ice or rice will scrub the bottle and remove any contaminated film residue. Drop a dishcloth into the bottle. Shake the bottle to allow the dishcloth to remove remaining residue. Pour out the contents of the bottle once the bottle is completely clean. Rinse the inside of the bottle thoroughly with hot water to remove the cleaning solutions.